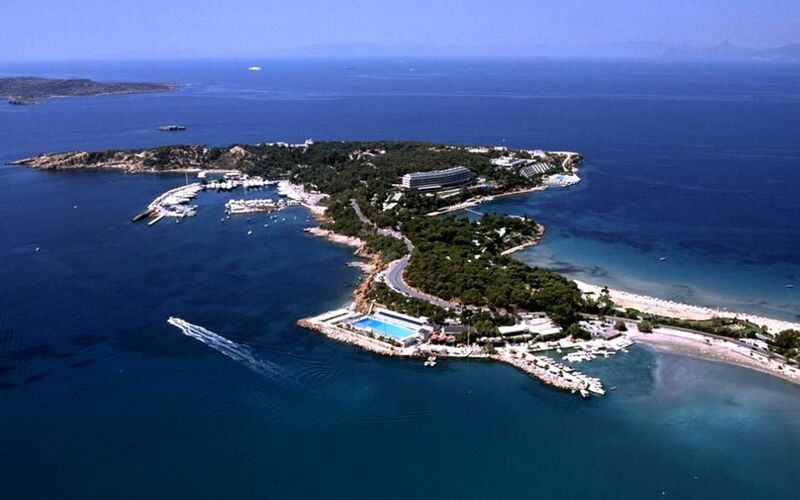 Environmental impact studies submitted by investors for the development of the Asteras peninsula (Astir Palace resort) in the coastal suburb of Vouliagmeni were unanimously approved by the Central Archaeological Council (KAS) recently. The terms for development include a special restriction for the protection of the 6th century BC Temple of Apollo Zoster as well as its link via footpath to an adjacent hill where an Early Hellenistic settlement and fortress exist. According to the KAS decision, the area around the temple will not undergo construction and it will operate as an independent archaeological site accessible to visitors. According to the studies approved by KAS, the investor will be allowed to make additions, renovations and repairs to existing buildings (the Arion and Nafsika hotels), proceed with the demolition of the now abandoned Aphrodite hotel and erect 15 luxury residences. The plans also foresee improvements to the road network and the creation of footpaths as well as the restoration or enhancement of the natural landscape. AGC Equity Partners (AGC) — a subsidiary of consortium Jermyn Street Real Estate Fund IV LP and Apollo Investment Holdco — paid a total of 393 million euros for the majority stake of the listed and historic Astir Palace. In September, Four Seasons Hotels and Resorts announced plans to bring the first Four Seasons hotel to Greece on the Astir Palace peninsula.